Crafted & Brewed in Humboldt County, California, surrounded by the beauty and nature of the Sea and Redwoods. 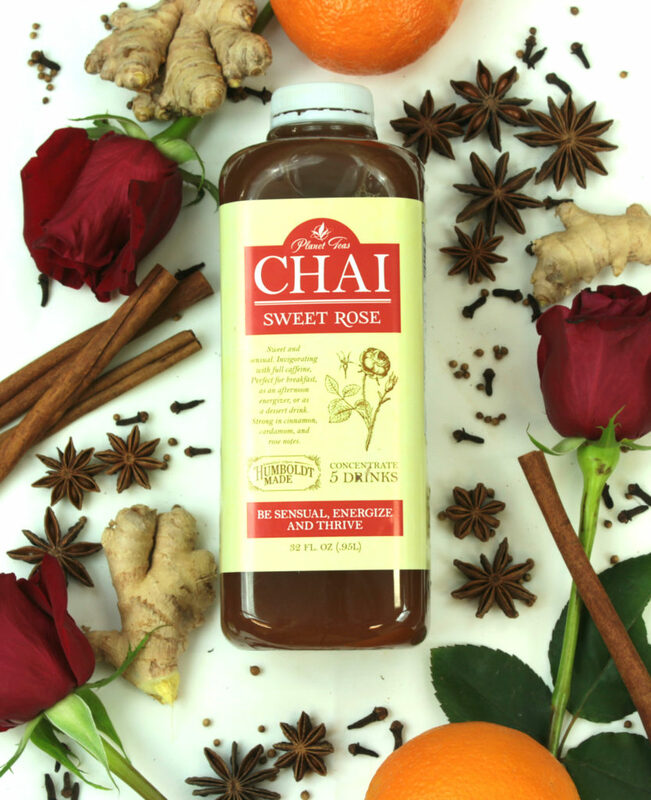 Our Rose Chai is Sweet and sensual, invigorating with full caffeine. Perfect for breakfast, as an afternoon energizer, or as dessert drink. Strong in cinnamon, cardamom, and rose notes. Be sensual, energize, and thrive! This product is only available at fine grocers and cafes.